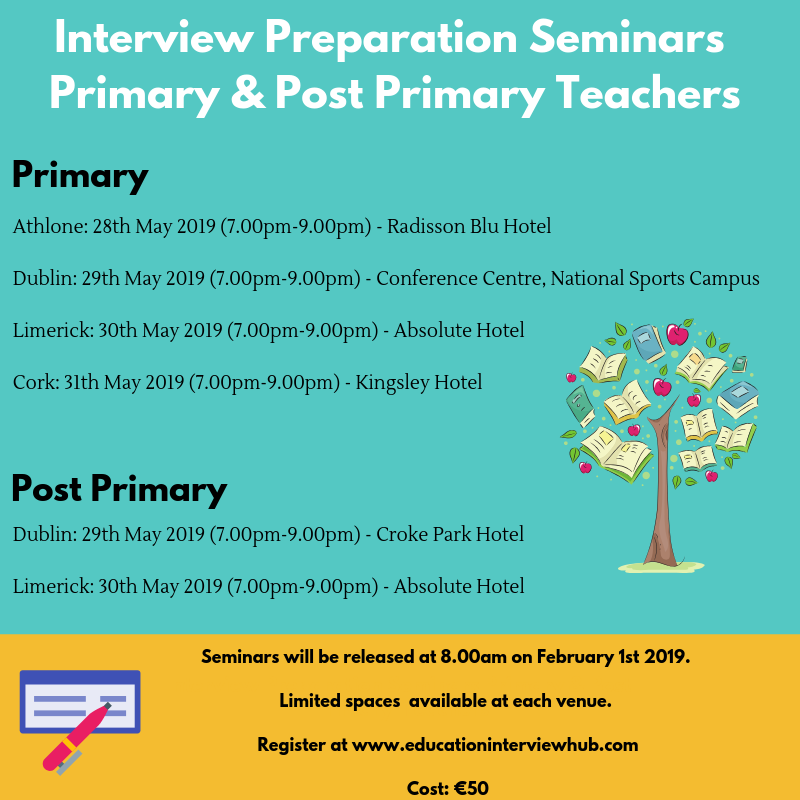 Interview preparation seminars are available to primary and post primary teachers. Demand is high for these seminars among student teachers & newly qualified teachers. However, they are not exclusively for any particular cohort of teachers. Many experienced teachers attend the seminars in advance of moving from one school to another. The seminar demonstrates a step by step approach to preparing for interview and securing a teaching position. The seminar will share interview questions, explore appropriate responses, explain expectations of the interview panel and give tips as to how your application can be different to the 100’s of others. Seminars take place in Dublin, Cork, Limerick & Athlone for primary teachers and in Dublin, Limerick & Athlone for post primary teachers. Places available from February 1st 2019 and will be allocated on a first come first served basis.